What Is a Catastrophic Injury Under Georgia’s Workers’ Compensation Laws? Many workers who are injured at work and must file a claim for workers’ compensation benefits while they are off work will fully recover, return to their jobs, and resume their daily activities. However, in some serious workplace accidents, workers can suffer much more debilitating injuries that will change their lives and the lives of their family members forever. These workers may be unable to perform the duties of their former job and are sometimes permanently disabled. However, if their injury is considered a catastrophic injury, they may be entitled to additional workers’ compensation benefits. While there can be disputes regarding whether an injury falls within this definition, many of the disputes about catastrophic injuries revolve around whether the worker is able to return to work. What Are the Long-Term Consequences of a Catastrophic Injury? 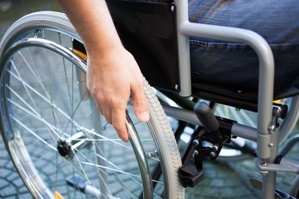 What Workers’ Compensation Benefits Could a Worker Who Suffers a Catastrophic Injury Receive? In Georgia, a person injured at work is entitled to payment of his medical expenses and two-thirds of his gross average weekly income up to a maximum of $500 while he is off work recovering. If he suffered a non-catastrophic injury, he can only receive lost wage benefits for up to 400 weeks. If his injury is catastrophic, a worker can potentially receive these wage loss benefits for the rest of his life. In addition, he may be entitled to other benefits, such as the assistance of a registered rehabilitation supplier to help with coordinating his medical care and arranging any vocational services the worker may need. Because of the nature and severity of the injuries, workers’ compensation claims for catastrophic injury can be more complex. In addition, employers and their workers’ compensation insurance companies tend to more aggressively fight to deny or reduce these claims because of the potential lifelong benefits that they could owe.